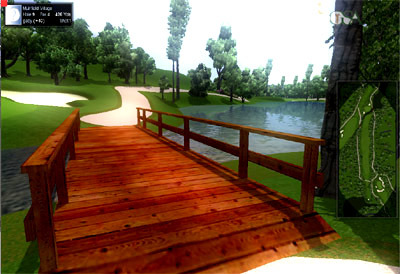 ProX 2 will be using the latest OpenGL GLSL shader rendering techniques to produce stunning graphics. 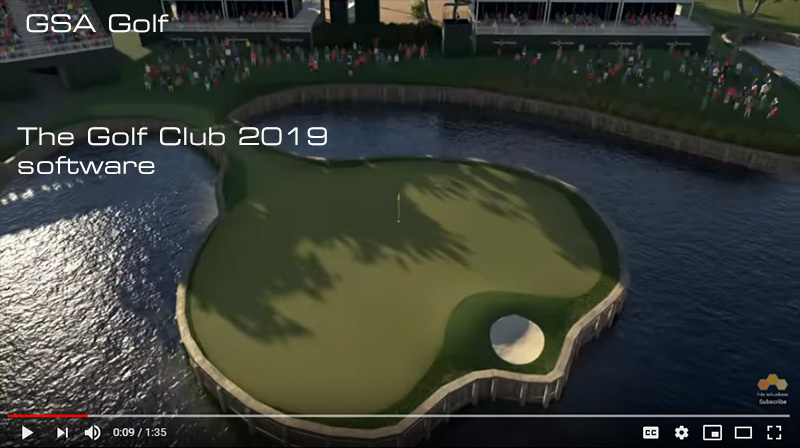 will be available next year free of charge. 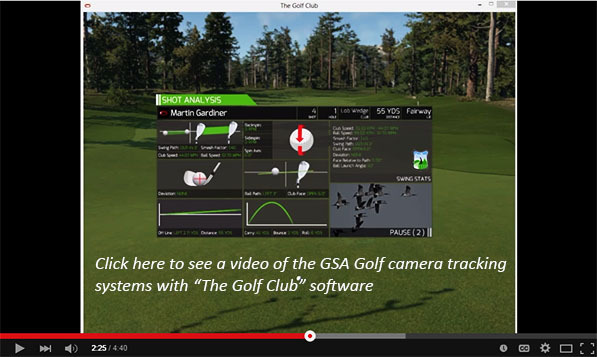 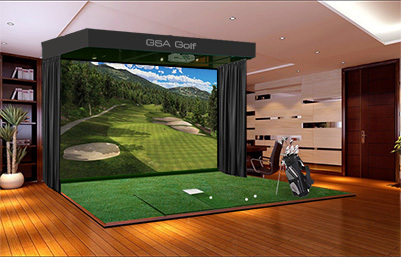 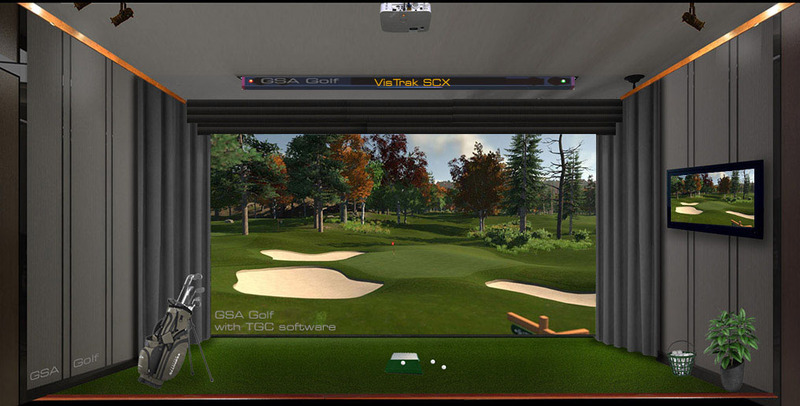 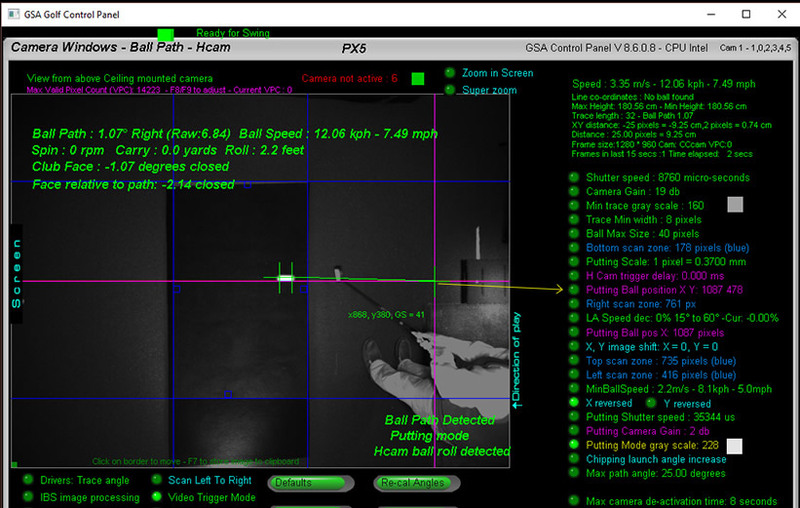 GSA ball and club tracking systems (both camera and optical sensors) are controlled by the GSA Control Panel. 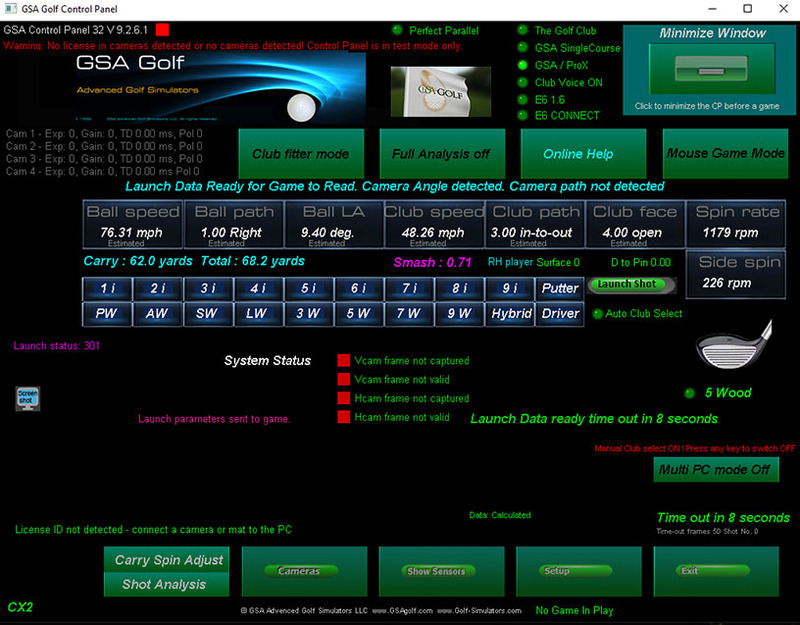 The control panel is a multi-process application that constantly monitors the tracking systems for a valid shot. 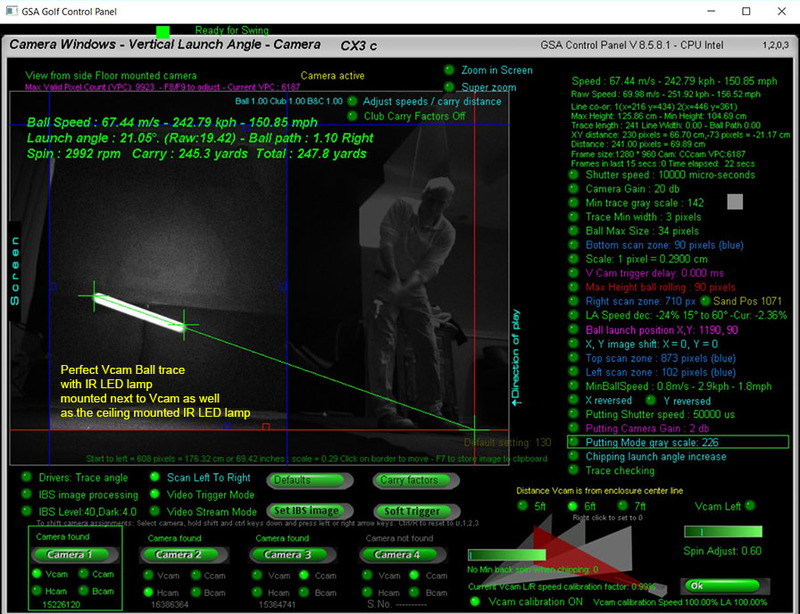 When a valid shot has been detected the club and ball shot parameters - i.e ball speed, path, launch angle, club speed, club path and face angle - are passed to whatever golf game system is being used. 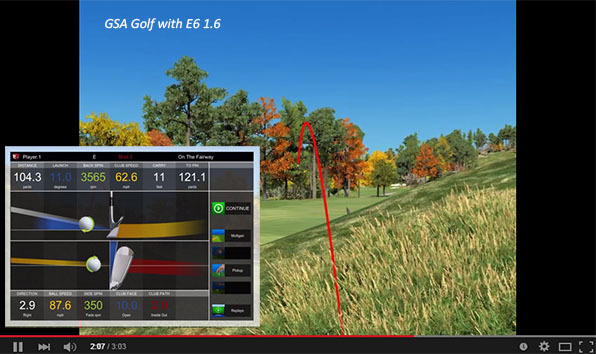 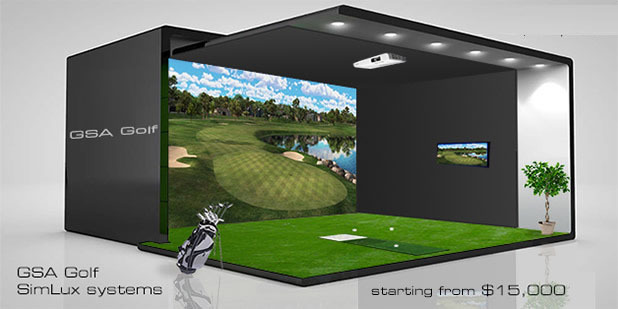 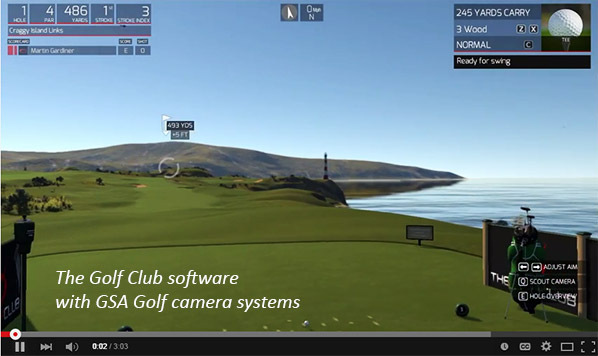 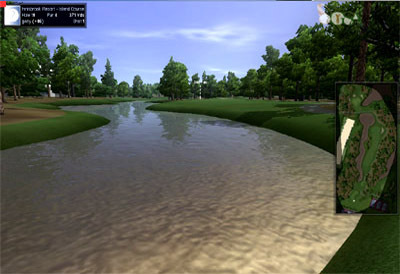 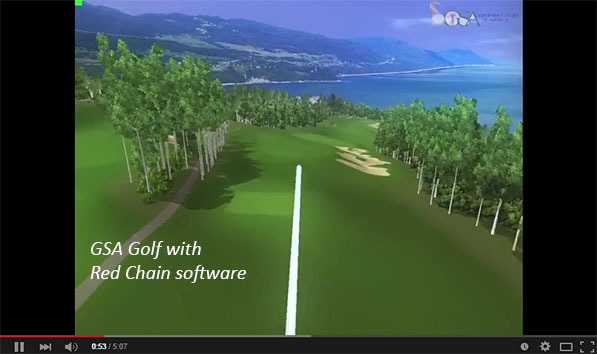 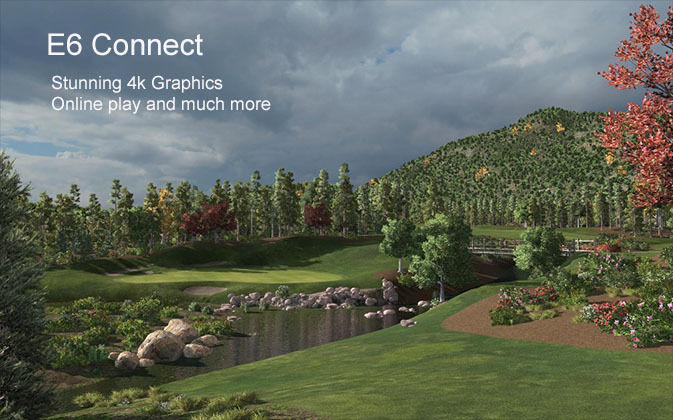 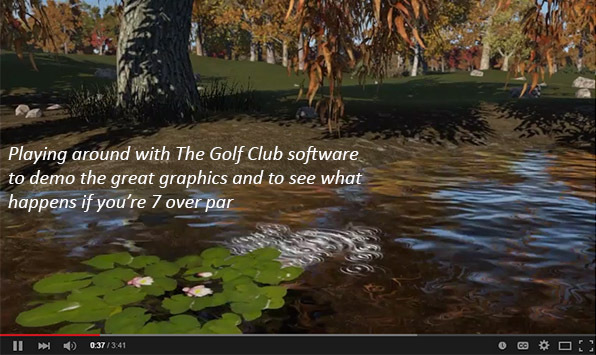 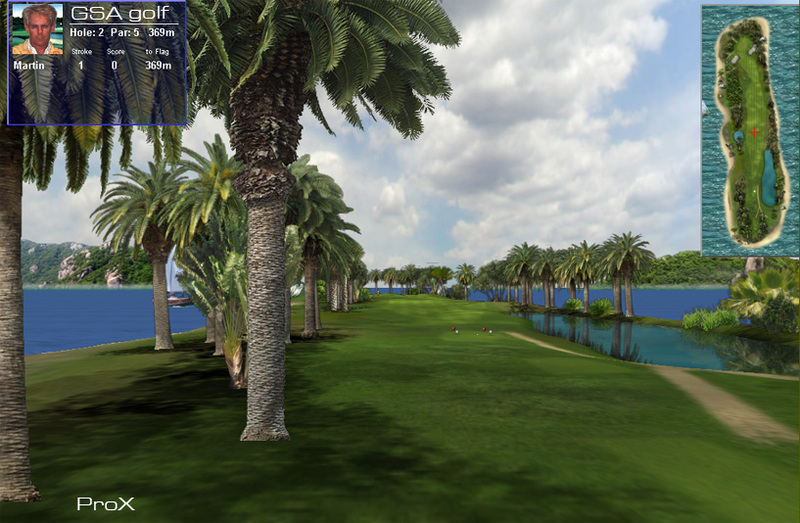 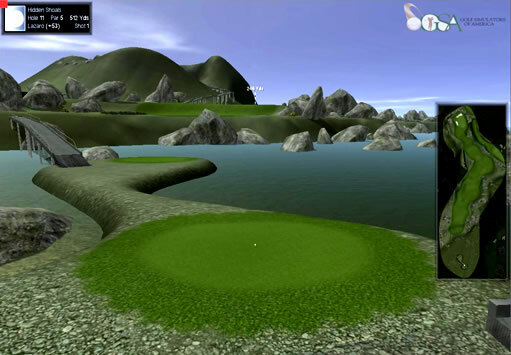 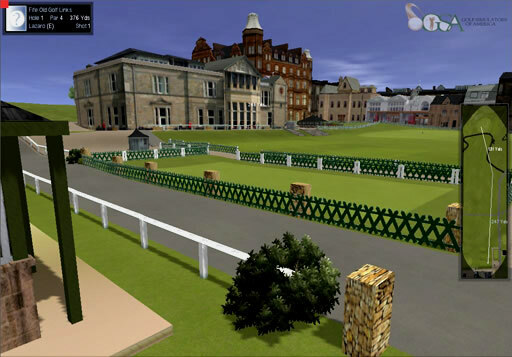 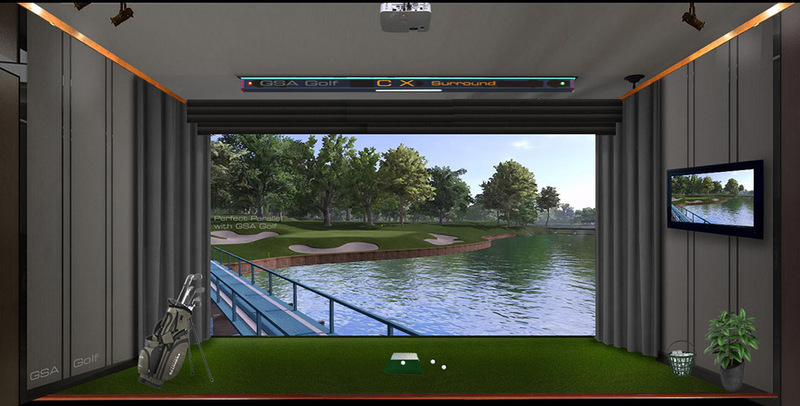 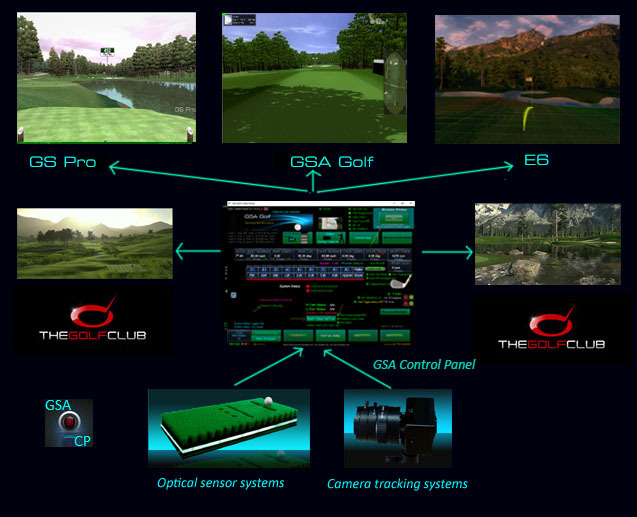 different golf gaming and simulation packages - ProX, RedChain, TGC, Perfect Parallel and E6. 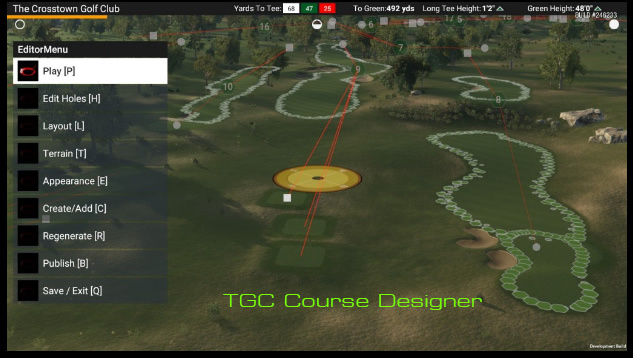 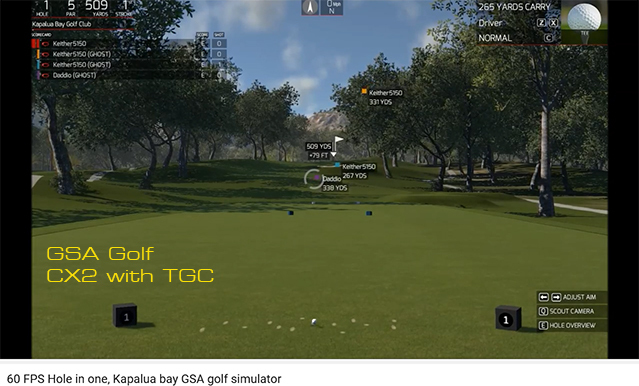 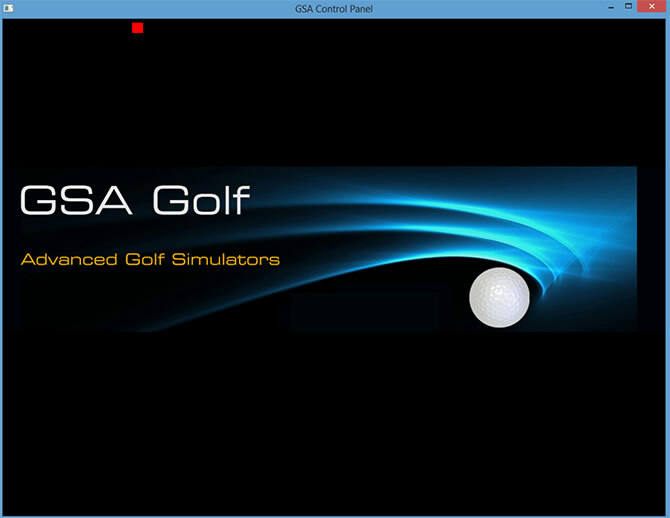 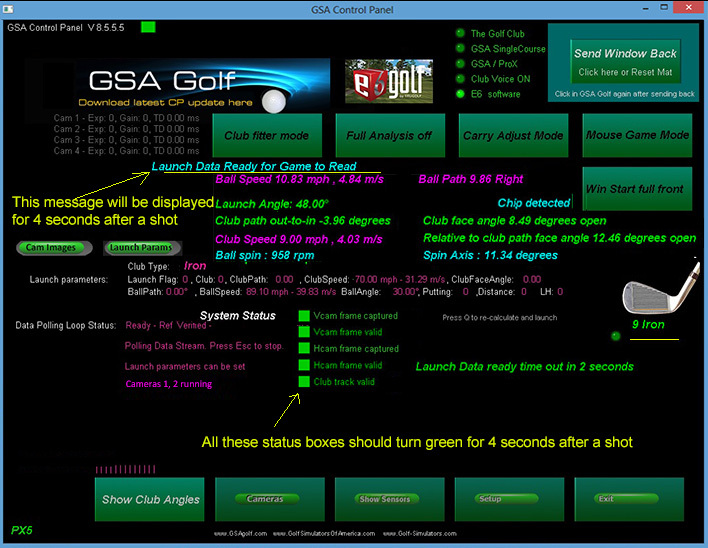 The GSA Control Panel overlays the game software (TGC, ProX, RedChain,Perfect Parallel or E6) with aftershot analysis windows after every shot. 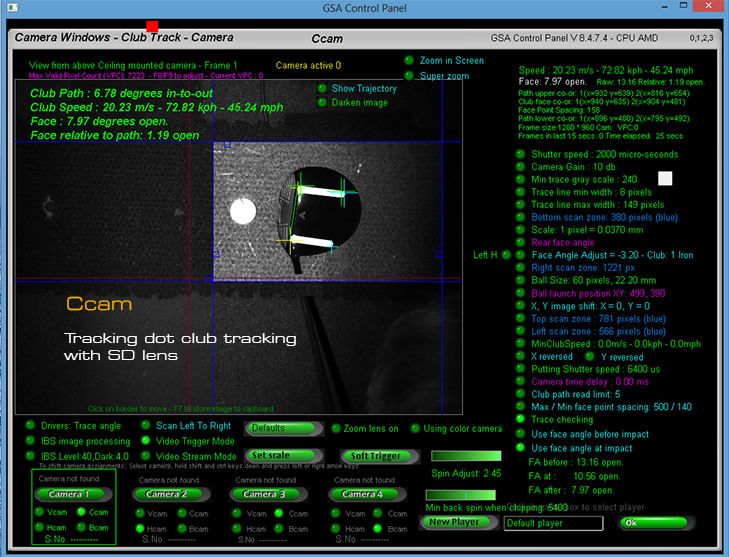 You can test shots by manually setting the launch parameters in the "Show Club Angles" window of the Control Panel. 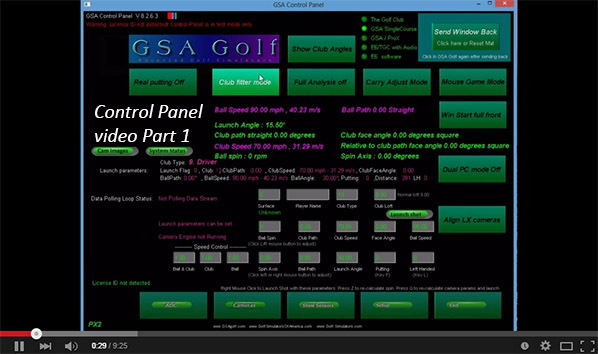 Right or Left mouse click in the Edit fields to change the parameters. 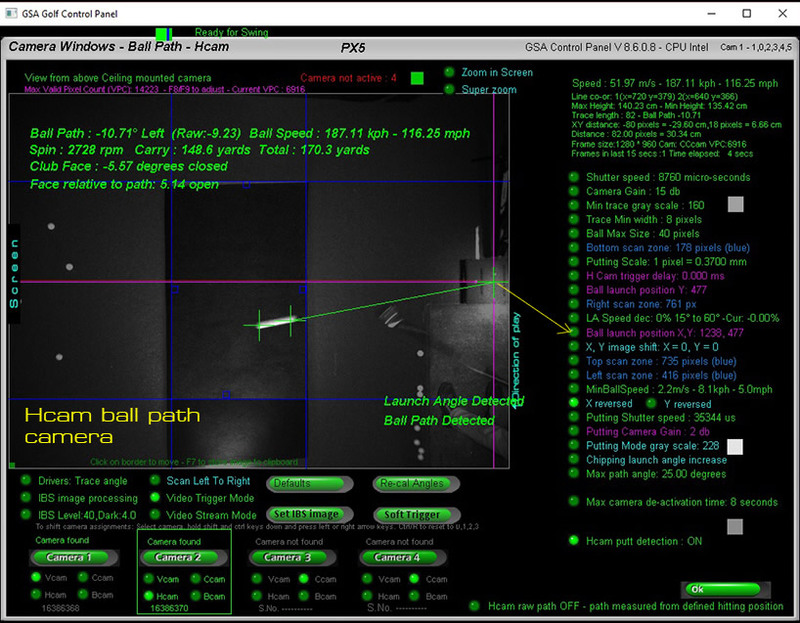 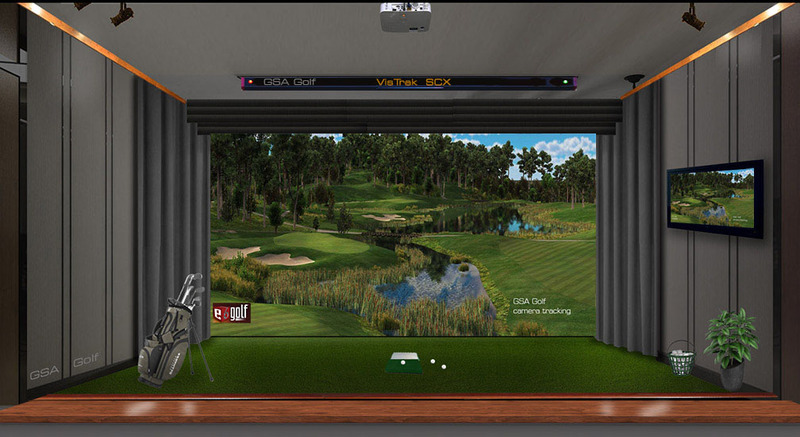 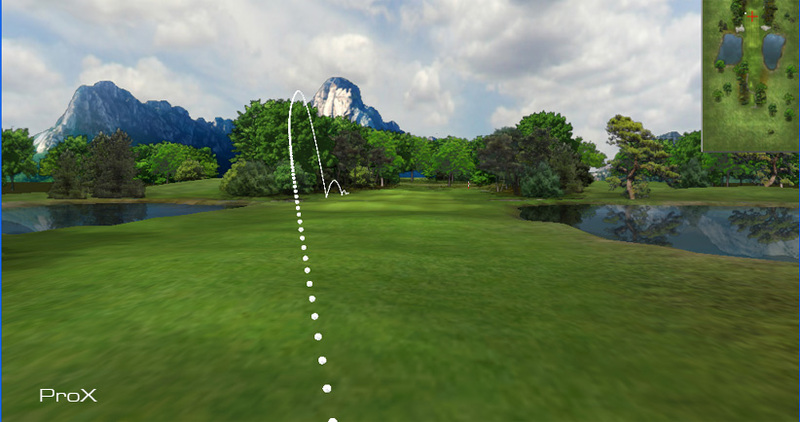 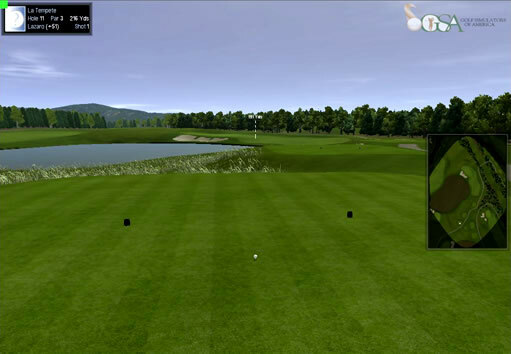 To see the trajectory of the ball in flight just click the "Launch Shot" button while having the GSA Golf software running in the background. 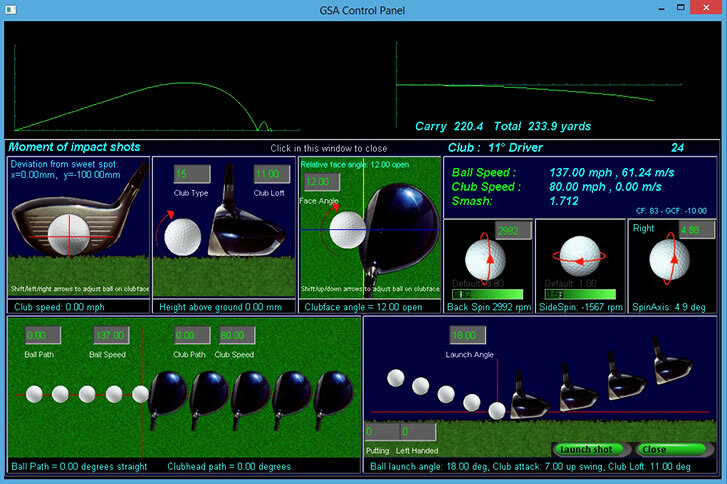 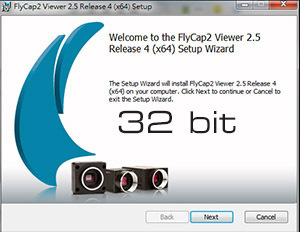 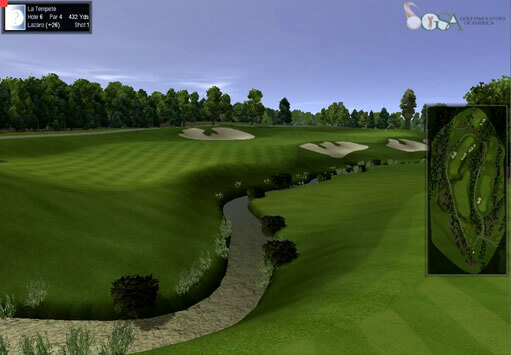 Courses can be played with the Control Panel via either a mouse or manual launch parameter setup for evaluation.